Diamond jewelry builds up dust and oil accumulation after some time. This build up originates from hand creams, hair styling items, dirt, as well as sweating. In the event you never ever thoroughly clean your diamond jewelry, the accumulation will simply worsen and may ultimately develop into substances on the rear of your jewelry or rock. The build up is generally not apparent for some time, but in no time, your diamond appears lifeless and unclean. It is possible to clean up jewelry in your own home but we highly recommend coming to one of Lucio's Toronto Stores and have a jeweler clean by a professional for you. Using good quality jewelry is just one of life's most valued splendid luxuries! Having said that, as with every other valued possession in Toronto there will come a great amount of attention and upkeep to help keep them looking all new and fresh. The most effective method to have a great deal of enjoyment out of your jewelry products should be to frequently clean, polish and inspect your jewelry. Diamond gems which are arranged in to a piece of jewelry demand unique focus on its care. But not only are abrasives damaging to your gems but, chlorine and powerful ammonia based options are damaging to most precious metals and may enhance early erosion of your respective jewelry. To maintain your jewelry looking new, wipe carefully right after being used using a soft jewelry cleaning cloth whilst keeping your jewelry inside a zip lock bag and also better place the bag in a plastic-type air limited container. It's remarkable the way your jewelry will continue to be clean for a longer time. When you own valuable jewelry for example diamond stud earrings, necklaces, diamond rings, or any other fine jewelry items, you can preserve these items forever when you take proper care of them. Appropriate cleaning and storage in your Toronto home will assist in keeping your diamond jewelry stay stunning for many years. To get rid of tarnish from your sterling silver details, Lucio's Toronto professionals highly recommend the use of cared for jewelry polishing cloths, easily obtainable in our Greater Toronto Area jewelry store or hardware retailers. These towels also do the job effectively on 24K gold-fill. When utilizing the polishing cloths nevertheless, be cautious to steer clear of direct or extended contact with the gem stones. Also stay clear of the numerous other sterling silver cleansers as they may be harmful to your gems. Looking after for Gold Filled products is as effortless as looking after for any gold jewelry. Merely maintain apart from chemical substances, thoroughly clean on a regular basis with slightly sudsy water, rinse out nicely and pat dry with a non-scratching fabric. Polish lightly with a jewelry polishing cloth. Refreshing the ring. The fact is that, with the natural solidity of titanium even in jewelry metals, household polishing will not bring back the ring. 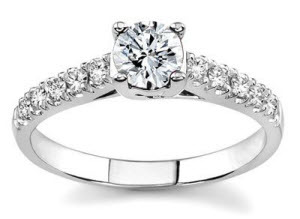 You will need to visit one of our Toronto jewellery stores and inquire that the ring be refinished. This is feasible utilizing extreme buffing substances on a mechanized buffing appliance. The substance will have to be aggressive to get rid of scuff marks from the tough metal. We normally recommend our customers to come to our Lucio's Greater Toronto Area store and our professionals will restore the beautiful shine to by jewelry cleaning all your precious jewelry. 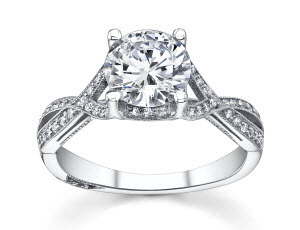 Lucio's specializes in cleaning a multitude of jewelry including engagement rings, diamond earrings, wedding bands, necklaces, wrist watches and much more!! We will also show you how to maintain your jewelry in pristine condition by explaining the different jewelry cleaning techniques we use so you may clean them at home.